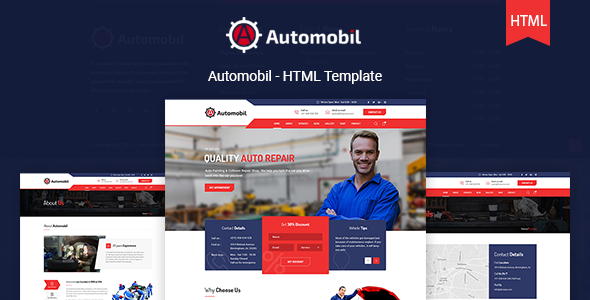 Automobil is a Clean, Modern and Professional Auto Mechanic, Car Repair Shops, Car Wash, Mechanic Workshops, Car Painting, Car centers and car related services HTML Template. It makes for business websites. All HTML Files is Perfectly Organized, So You Can Easily Customize Everything You Need. The HTML comes with Bootstrap 4, SASS, GULP etc. About, Pricing, Services, Gallary and all details pages.